Length: 3.96 m (154 inches). Width: 2.04 m (79 inches). Height: 2.68 m (104 inches). Weight: 5.500 kg (12.100 lb.). 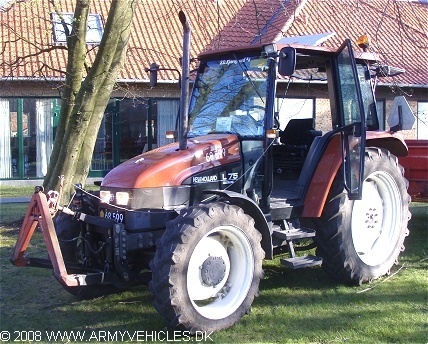 Engine: 4-cylinder IVECO, type 8045.05R.215, 3.908 cm3 (238 cubic inches), liquid cooled. Horsepower: 75 at 2.500 rpm. Electrical system: 12V, negative ground. Brakes: Hydraulic (rear wheels only). Tyres: 11.2R - 28 (front), 13.6R - 38 (rear). Fuel capacity: 110 liter (24 gallons).